Boom time: Subhiksha plans to hit the 1,000-outlet mark by December. The company behind India’s largest chain of supermarkets, Subhiksha Trading Services Ltd, will raise about Rs350 crore in an initial public offering (IPO) early next year to fund its expansion plans, even as the Sensex continues to reach new highs indicating an appetite for stocks among investors. The company has appointed Enam Securities Pvt. Ltd, ICICI Securities Ltd and Kotak Mahindra Bank as lead managers and plans to file a draft red herring prospectus (DRHP) as early as January, said an executive at the company familiar with the development. He didn’t wish to be identified because he cannot publicly speak with the media in this period, he said. The executive put Subhiksha’s current valuation at around Rs3,500 crore and said the firm will add about 10% additional shares for the IPO. “The market conditions look good and business is booming, there is no reason why we don’t go for an IPO," he said. Subhiksha, which currently runs more than 900 stores in several Indian cities and plans to hit the 1,000-store mark in the next four-five weeks, will be the third retailer to go for a public offering in less than a year after Vishal Retail Ltd and Koutons Retail India Ltd.
Discount retailer Vishal raised Rs110 crore in a July public share offer that was oversubscribed 69 times, beating the street’s expectations even though its issue opened on the same day as real estate giant DLF Ltd which mopped up more than Rs9,000 crore. Koutons, which sells shirts and trousers, saw its share price jump 42% on its offer price on listing earlier this month and the company’s issue was oversubscribed 45 times. Analysts say there is great demand for “quality" IPOs if companies come up with a fair issue price. “There is a decent amount of money chasing India and for any good paper there is no dearth of investors," says Pradeep Kumar, fund manager at ABN Amro Asset Management (India) Ltd in Mumbai. “Retail (sector) has seen decent returns in the recent past." 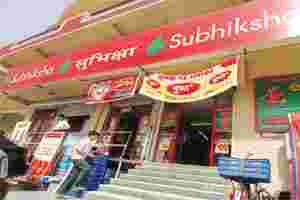 Subhiksha, which sells everything from medicines to mobile phones, has been aggressive with its expansion and now owns 921 stores in India that sell everyday groceries and discounted goods in a no-frills shopping environment. It was started as a chain of 10 stores in Chennai by banker-turned-businessman R. Subramanian in the late 1990s. The company’s low-cost, low-capital investment model thrived and Subhiksha is now India’s largest retail network. The company has lately added stand-alone pharmacies and mobile phone stores to its portfolio. It is likely to touch 1,000 stores by December. The promoters hold 65% in the company while investment firm ICICI Venture own 25% and ICICI Prudential Mutual Fund holds 5% in the company, the executive said.